Yes it took me a while. A long while. But I have finally broken the no-cooking (no bloggable cooking) rut that I was in. It's been weeks since my last post and more than a month since my last recipe-related post, but that is over. Done. Finito. A new semester started and that means I need to get back on track. This semester is going to be hectic to say the least. I am trying to start a food magazine at BU, attending Bikram Yoga--which I will talk about in a second--regularly, writing for The Quad (BU's independent online magazine and taking my fair share of classes. So yeah, its not going to be easy to come home after a long day and cook dinner, but I plan on doing it. Mainly because cooking, as many of you already know, is a great stress reliever. I will dedicate another post to my new (and improved) kitchen, but for now lets focus on Bikram Yoga. For all who don't know what it is, Bikram Yoga combines a series of 26 yoga postures and breathing exercises during a 90 minute class. The class takes place in a room heated to 40.5 C (105 F) so that the body can adjust to the postures. It sounds intense and that is because it is intense. I have to admit that the first time I walked into the heated room I was grossed out. You open the door and all of a sudden a heat wave slaps you in the face as a smell of concentrated humidity tickles your nose. Needless to say, it's not the most pleasant feeling, but you have to give it a try to experience what all the buzz is about. After one session, your body says "wow." Anyways, I had done Bikram in Mexico about two years ago and since freshman year I kept saying that I was going to give it another try in Boston. I finally did so this week. I went on Tuesday and loved it. Went back Wednesday, Thursday and Saturday (I was trying to do the ten consecutive days, but I just couldn't). So that's my take on Bikram, but now we can move onto food. 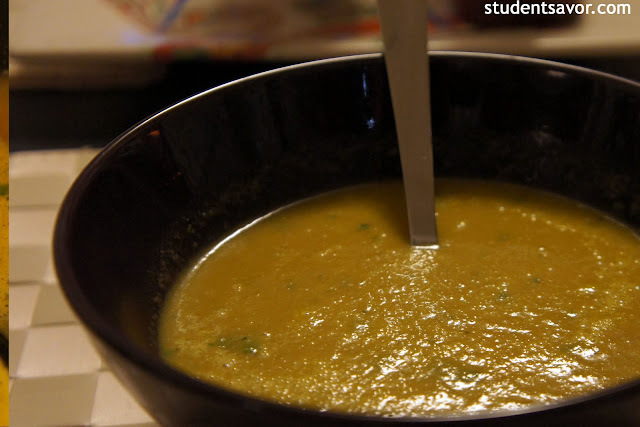 Last night I made asparagus soup. Quick, simple and delicious! Oh, and arguably healthy as well. 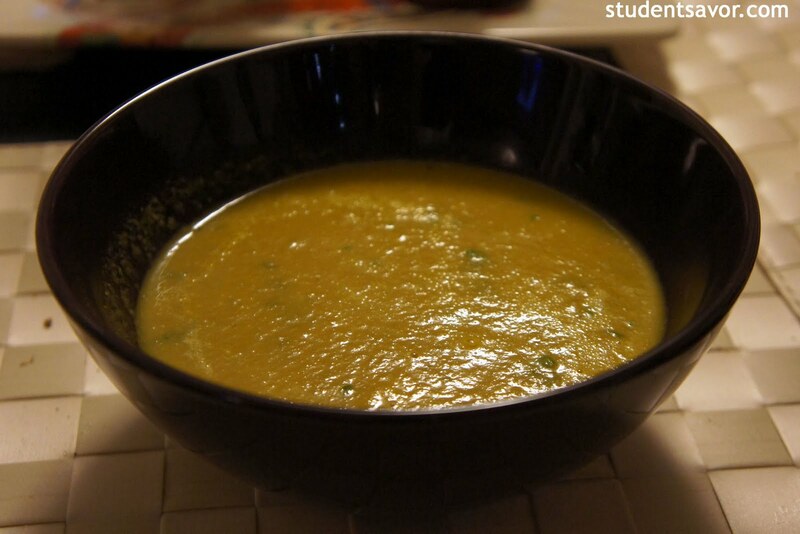 Soups are fairly easy to make. 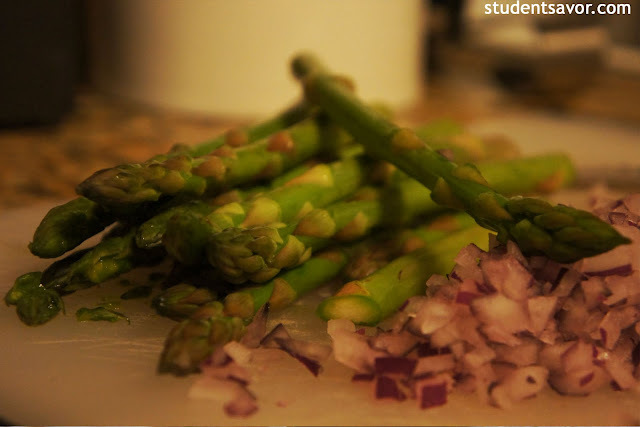 Here is the recipe for asparagus, but if you feel like it you can substitute another veggie and still end up with a yummy dinner. Enjoy! In a medium pot, melt butter at medium heat. Add olive oil and stir. Add chopped onion and cook until tender, about 8 minutes, stirring occasionally. 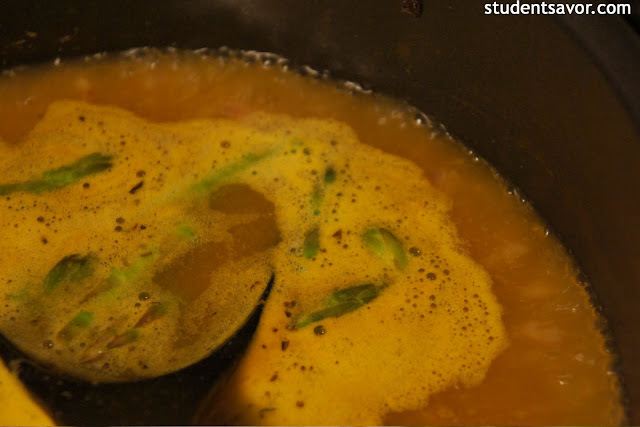 Slowly add vegetable stock and bring mixture to a boil, stirring occasionally. Once boiling, add asparagus and rub and simmer until asparagus is very tender, 20-25 minutes. Cover the pot with a lid, leaving a slight opening for the vapor to go out. Remove from heat and cool slightly. Transfer asparagus and onions, using a slotted spoon, to a blender and puree. Slowly add liquid and blend carefully. 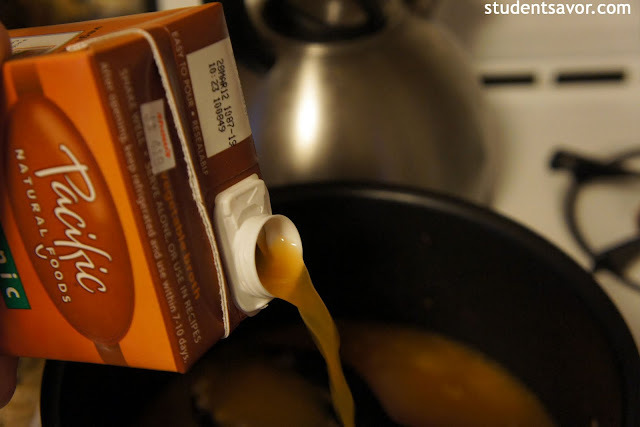 Return soup to stove and heat until boiling. 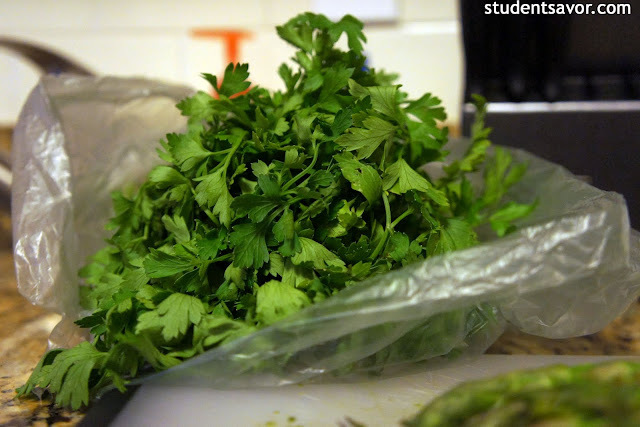 Remove from heat and add chopped parsley leaves. Stir and serve.